In 2006, Joe Flanigan, who played main character John shepherd on Stargate: Atlantis, would often refer to his costar Jason Momoa as the Chewie of the group. Yet anyone who has followed Momoa through the years knows that he is anything but. Don’t get me wrong; Flanigan was fantastic. But it was Momoa’s performance as Ronon Dex that kept drawing me back to the show. Momoa had a sense of charisma onscreen that kept me invested, and I couldn’t wait to see the expedition’s latest adventure, which was especially surprising for me considering that I never really watched SG-1 on a regular basis. When I found out the show was cancelled after five seasons and 100 episodes (an impressive run by any measure, but especially in the context of today’s television landscape), I was upset, but took solace in the fact that there would be movies and I would presumably get to see Momoa and Ronon again. Unfortunately, bankruptcy prevented these films from ever happening. From then on, I would be thrilled whenever Jason Momoa was cast in anything. Never one to rest on his laurels once his time on Stargate came to an end, he immediately went on to a brief stint on The Game. 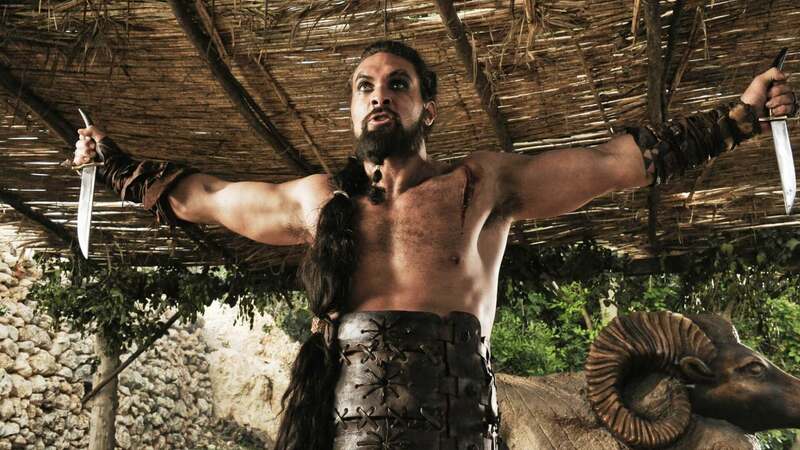 Then came the roles Momoa fans thought would be the one-two punch that would bring him to a higher plateau in his career: Game of Thrones’ Khal Drogo and the titular character in the Conan the Barbarian remake. With the former, you had a hotly anticipated adaptation of a beloved book series from a network known for such iconic shows as The Sopranos and Deadwood. Before the series released they had to reshoot the pilot with a new Mother of Dragons, so things were not going well for this production. Needless to say, a lot of eyes were going to be on the show. There was near universal acclaim, with most people calling Momoa a standout and saying that Drago was Momoa’s breakthrough role (thus forgetting about my beloved Ronon, but I digress). While I was disappointed they killed him (aside from a brief cameo in season 2), at least we were going to see him as Conan that coming August. To say Jason Momoa had big shoes to fill would be a massive understatement. Whenever someone mentions Conan the Barbarian, they think not of character creator Robert E Howard, but of Arnold Schwarzenegger’s performance in the 1982 film. I was so excited to see Momoa’s star rise thanks to this iconic character. The actor had even written a script for a Conan sequel, which emphasized his versatility as an artist. With Momoa’s big moment at hand, I was all ready to go to the theater and yell “It’s Ronon!” at the screen. But Holy Crom did this movie not work. Momoa did the best he could with what he was given, but ultimately, the attempted amalgamation of a myriad of Conan stories didn’t come together as the filmmakers had hoped. Conan the Barbarian bombed at the box office, and hopes for a Momoa-led franchise were dashed. Or so I thought. After taking a slight detour in 2012 playing a villain opposite the legendary Sylvester Stallone in Bullet to the Head, it was in 2014 that Jason Momoa once again showed his hustle. First, he was rumored to play superhero Aquaman, a rumor he denied at the request of DCEU architect Zack Snyder. Then he starred in The Red Road, Sundance’s original series about a Ford plant dumping waste in New Jersey. While I will admit the show wasn’t really my thing, I powered through so I could see Momoa in a fantastic role. Then he took things to another level and delivered not only a great performance but also a great film, serving as the co-writer and director of Road to Paloma, reuniting with his Bullet to the Head costar Sarah Shahi. Although I wished it would have gotten a wider release, I loved the film and hope that, in between Aquaman appearances, he decides to direct again. In the midst of all of this, Momoa found his way to another TV series called Frontier, playing a character named Declan Sharp in a period piece about the fur trade. Once again, Momoa was great, this time going far darker and more enigmatic. I’m almost worried Aquaman is going to get in the way of him doing more with the Declan character. Almost. It wasn’t until August 2014 that he was finally confirmed as Aquaman, signing a four-picture contract (after he turned down the role of Drax in Guardians of the Galaxy), the first being Batman v Superman: Dawn of Justice. Initially having auditioned for the role of Batman, Snyder felt he would work better as Aquaman (which I found funny since a lot of fans wanted him as Lobo). It would not be until Justice League that we would get to see Momoa’s talent on full display as the man who would be king, or rather, hero of the seven seas. Despite the surfer bro attitude he bought to the role (which was absolutely brilliant), like most of the other DCEU films, it was not well reviewed – which left Aquaman in an awkward position, having finished production in October of 2017. 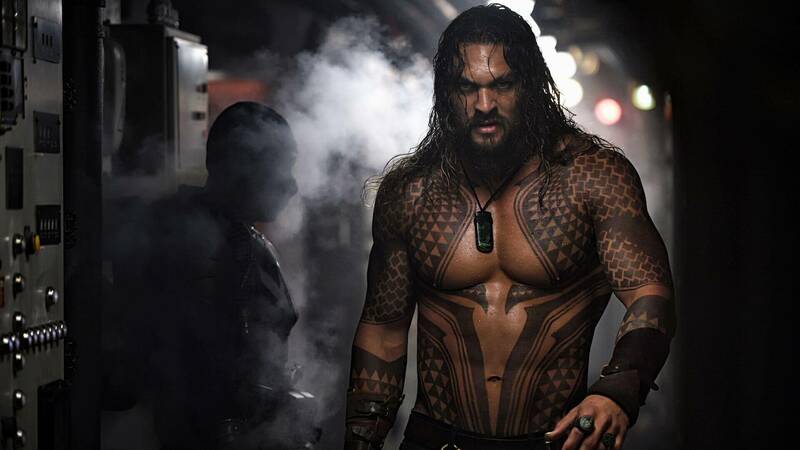 Yet, one should never count Jason Momoa out because, with positive early reactions and a record-breaking box office in China, Jason Momoa seems poised to finally attain the superstardom he always deserved. Although I will always remember him fondly from his time with the Atlantis expedition, I’m glad Aquaman has an actor of Momoa‘s caliber bringing him to the big screen. Whatever projects he does, whether it’s his work on Red Road and Frontier or Road to Paloma and the DCEU, Jason Momoa always brings his A-game and elevates his projects to a new level. As of this writing, I am going to the Amazon Prime screening of Aquaman tonight. I can’t wait to watch Momoa’s tide come in as he enters the superhero pantheon with the distinction of headlining the very first standalone Aquaman feature.